For memories that last a lifetime. I am an award winning artist with years of experience and I love to bring wonder and joy to parties and events. I can bring examples to choose from and take requests. I offer balloon twisting and face painting. 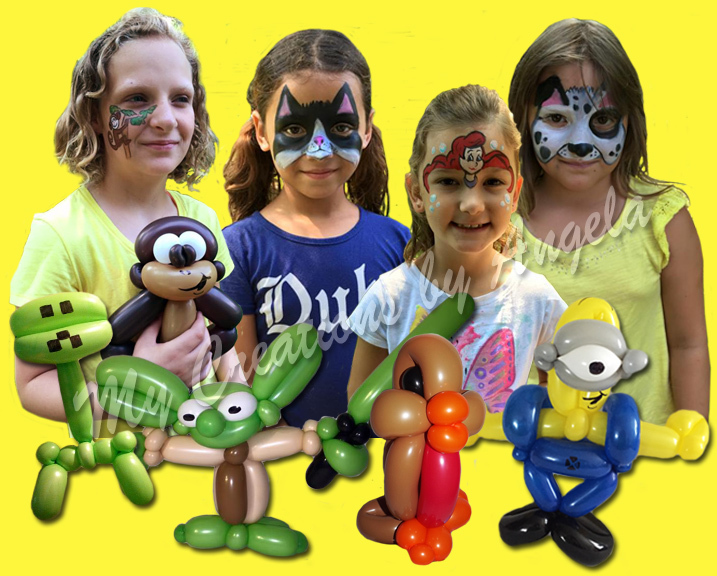 I can twist balloons into amazing creations that will dazzle and thrill at any event and paint your guests faces to whatever their heart desires. All the paints I use are high quality FDA Compliant cosmetic grade designed for use on the skin and are safe around the eyes. They are designed to be easy to work with and remove, long lasting, comfortable to wear, vibrant and most importantly, they are safe! All of my balloons are high quality latex. 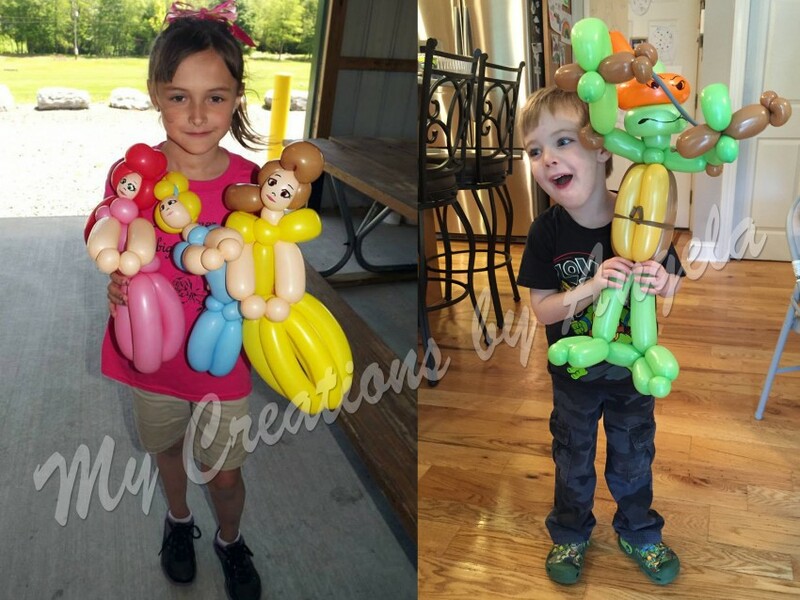 Absolutely amazing balloon creations. This was the hit of the party! We will definitely be using again . Angela was friendly and willing to do anything the kids asked for. Thank you again! Angela is amazing. Her work and interaction with the kids is incredible. The quality of her balloons had both adults and kids speechless. I would highly recommend Angela for your next event. 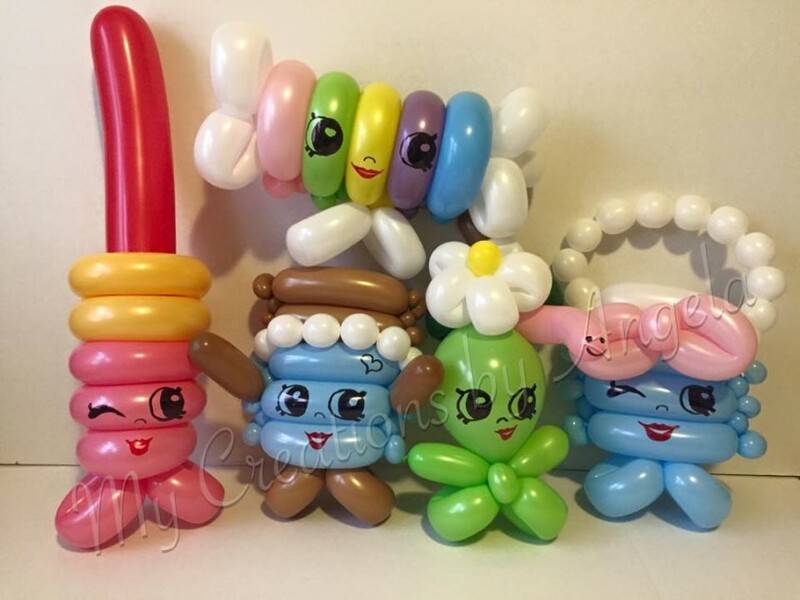 You wont be disappointed by the amazing skills and quality of balloons characters. 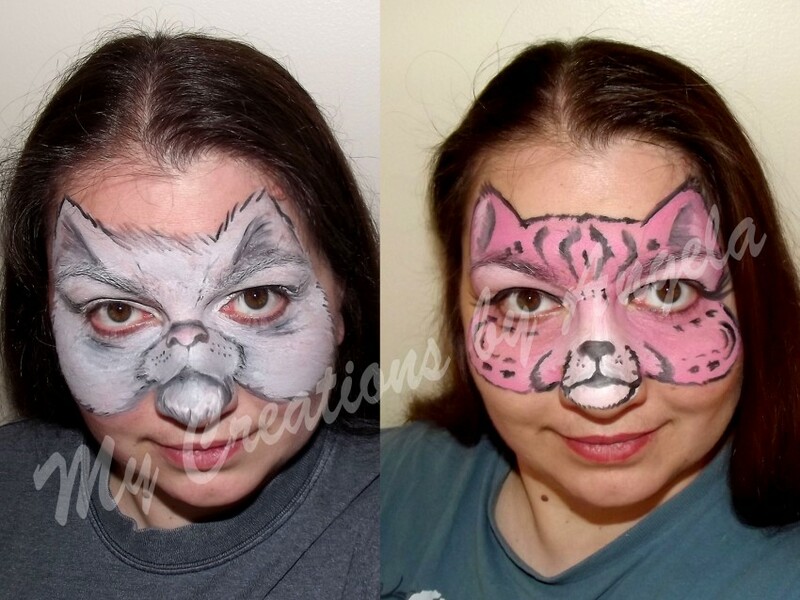 We hired Angela to do face painting and balloon art at our sons birthday party. She was professional, patient and did an amazing job with the kids. Her balloons and face painting skills are top notch!! Angela was an AMAZING addition for a recent birthday party that my sister and I had. She is talented, patient, kind, and her prices are reaaonable. Every single party guest commented on how amazing she was. I would absolutely recommend hiring Angela for your next event!!! Angela was a huge hit at an event that was held at a local business. She was prompt, friendly, and even stayed past the time she was supposed to. 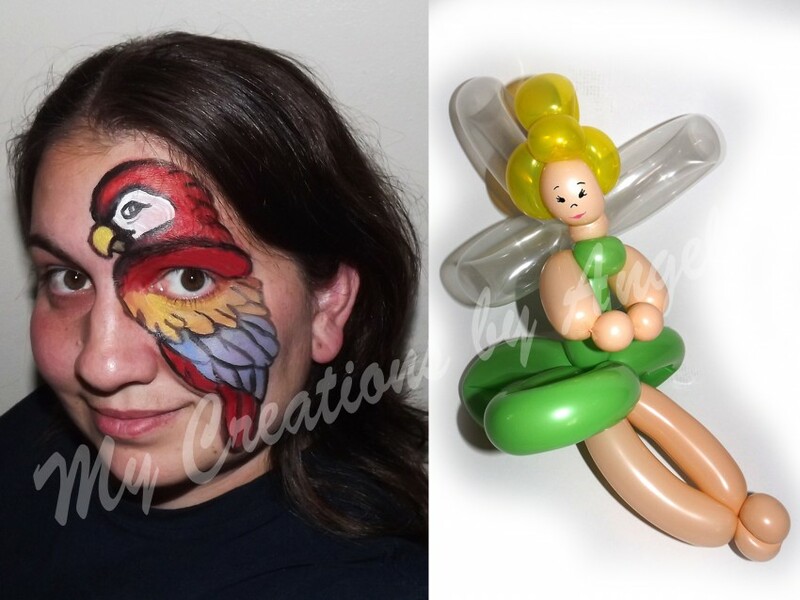 She did balloon twisting and face painting and everyone raved about the excellent quality of her work. Best balloons, by far that I've seen!!! Would absolutely recommend her!! We hired Angela for balloon twisting for my daughter's first birthday. She was really amazing. Not just kids even adults loved the balloon animals. She was really nice and even stayed over her hired time and made sure all the kids got what they have asked for. Thank you for making my daughter's birthday a memorable one. Definitely recommend her. Angela was on time, happy, and just absolutely amazing! She was able to paint every kids face at the party (some even more then once), and made sure she gave every child a ballon animal even though we were out of time. Great talent and super professional! Definitely recommend her! Hired Angela for our cafe/ice cream shops 20th anniversary. She is amazing! The highlight of our celebration! What a talented lady! Made sure each and every child went away happy. Will definitely hire her in the future. Have a special event coming up? Give her a call!! Highly recommend her!! Thanks Angela for making our day special!! Angela is the Best ..
Angela did both my son's 5th bday parties and she did an amazing job. I love her work and patience. I would be referring her to friends and family for their events. Book with Angela she is the best around. Angela provided entertainment for our recent Cub Scout fundraiser, and she is remarkable! She is patient, kind, wonderful with kids of all ages, and SUPERB at what she does. These are not simply balloon animals. They are works of art! I highly recommend her for your next event! We had the pleasure of having Angela at our Ice Cream shop to make balloon creations one evening. Everyone loved it! She is so creative and accommodating took any request and left all the kids and adults smiling and in awe, definitely a step above your normal party entertainment. Can't wait to have her back ! I have used Angela 2 years in a row for a large event. She is professional and very friendly. She does amazing face painting and her balloons were the hit of our event this year! We can't wait to have her back next year! I would highly recommend her! Angela spent two hours twisting and wrapping balloons to make Minions for dozens of children at Barnes and Noble. I'm pretty sure there were several walk-ins who were not registered. She made a Minion for every child who stood in line. Each Minion took about 5 minutes. Do the math. I think she did a spectacular job and I recommend her for any event. Thanks Angela. Angela was wonderful to work with! She was very fairly priced and did beautiful work! She said she would simplify her designs but they were still vibrant and the kids loved them! She was prepared and punctual. I will absolutely use her again for our next event! We had Angela come to my daughter's 3rd birthday party for face painting and balloon making. She was extremely nice and made each child feel comfortable, was very prepared for her paints and balloons and the kids and parents loved everything she made and painted. Everyone we had there was in awe of her amazing talents! I would highly recommend her to anyone and will definitely have her at other events we have. A definite rebook for future parties! She was so kind, patient, and creative! The kids adored her talents of ballon twisting that they were asking for more! She would even recreate ones that popped for the little boys swords! I would recommend her for any party! Angela is so sweet, gentle, and incredibly talented. She was the light to my daughter's rainy day birthday party. Everyone loved her and her creativity with her face painting and balloon twisting. I highly recommend hiring her For your next event. Amazing at her craft. The details to the face painting and balloon creations are so intricate. My daughter and her friends were delighted, as well as my son, as they celebrated her birthday with Angela's creations. The theme for the party was the movie "The Fault in Our Stars," and that brought a request to make a cloud balloon with the "OK? OK" quote on it. Angela pulled it off and had a happy party goer!